This scene originally began as a demonstration piece for my students. It was never intended to be a finished piece; just something I used to demonstrate different modeling, materials, and lighting techniques. 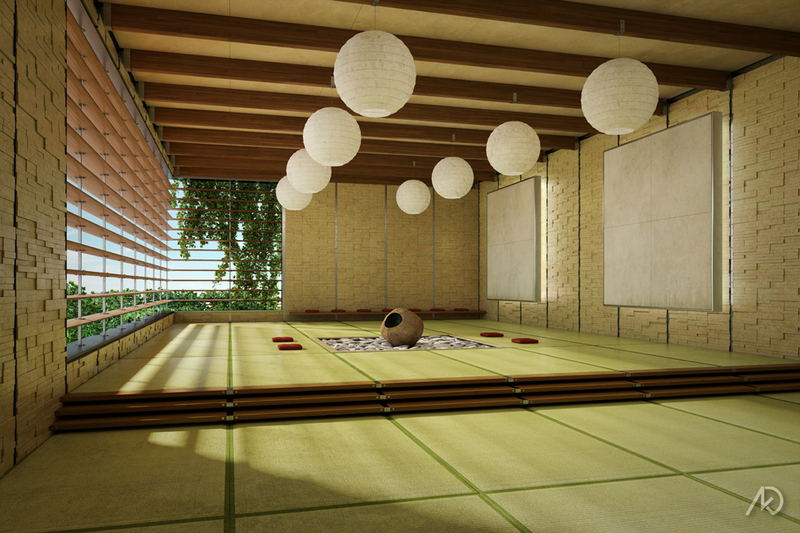 The scene itself is fairly simple; no complex modeling is involved, most objects are simple polygons. The vines outside are instanced geometry made with a particle system as opposed to Ivy Generator. The design itself was kept as a modular study with the articulated precast panels and tatami mats driving the overall grid. I tried to show how a simple design could be detailed well by using geometry, materials, and lighting to help add interest and aid in the overall composition. 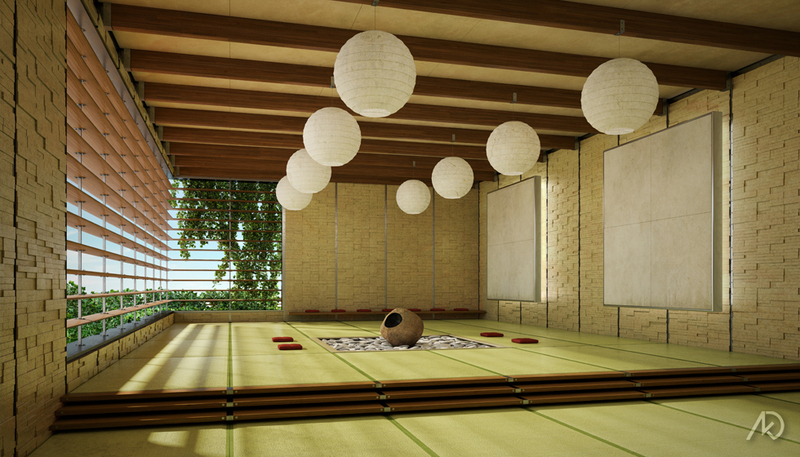 Meditation Room is a study in form, materials, and lighting. It is a study on how to add interest to a relatively simple scene. Articulation was given to the wall panels and other objects to help in the overall look and composition.